any fan of the macabre worth his/her salt has seen, at one point or another, the classic daguerreotype photo of poe. while the image is iconic, i always felt it captured only his bitterness. even a cursory survey of his poetry gives his audience a window into the melancholy of his churning soul. this is something i sought to introduce in this piece. 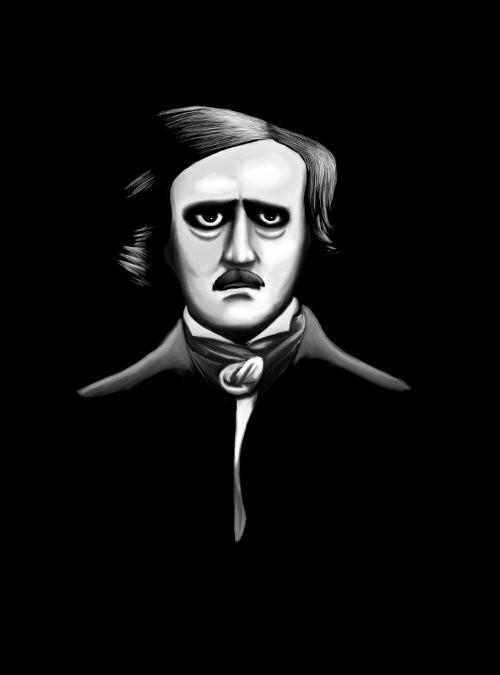 this image is the figurehead for an entire series of poe illustrations.